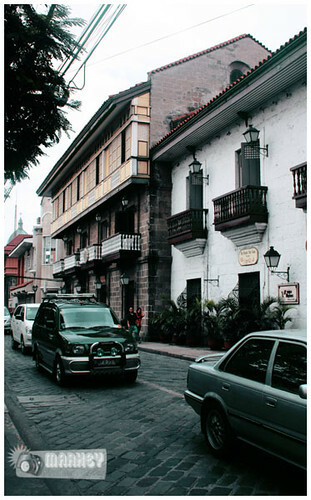 December 1999 – Gov. 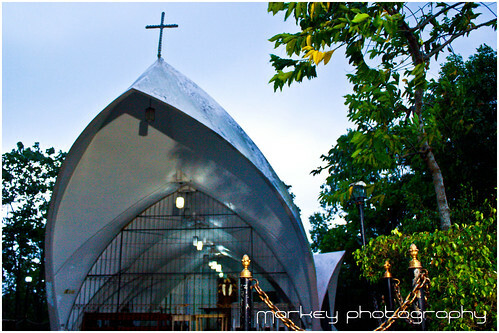 Jose V. Yap attends “Simbang Gabi” at St. Therese of Child Jesus Parish in Ramos, Tarlac Presided by Fr. Ronald Thomas “Archie” A. Cortez Parish Priest and Superior General of the Servants of the Risen Christ. Fr. 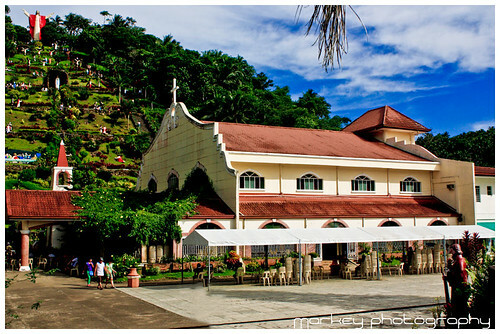 Archie, also the prior Founder of the SRC Community relates the story about the founding of a monastic community in Ramos, this caught the attention of Governor Yap, and on that same occasion, the idea of a bigger and better location was conceived. 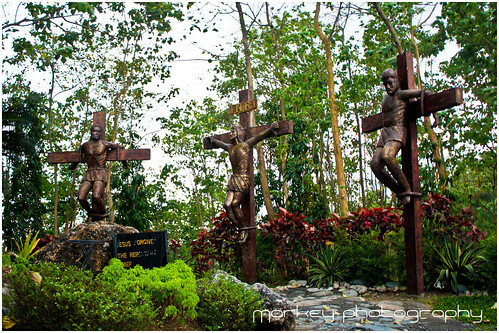 Yap offered a portion of the newly established Tarlac Eco Tourism Park in Brgy. 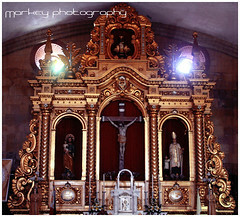 Lubigan San Jose Tarlac. January 2001 – Comerstone laying on the foundation of the 20 has. 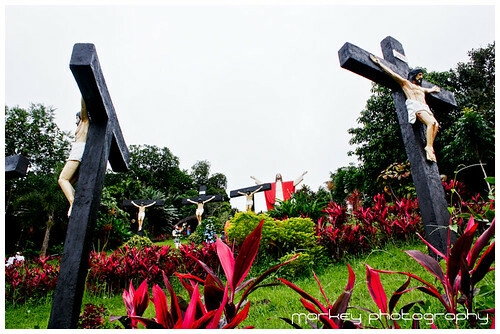 Monasterio de Tarlac, symbolized by the erection of the first cross. 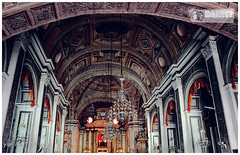 March 7, 2001 – Blessing of the Prior hermitage. 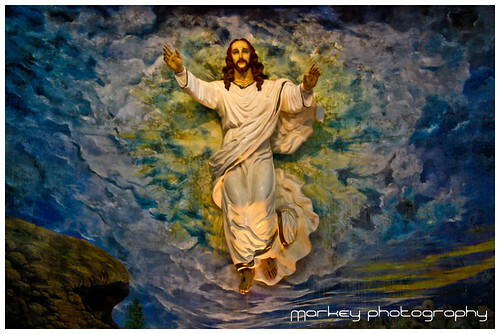 December 2, 2002 – Groundbreaking of the proposed monastic community and blessing of the 30-ft high statue of the Risen Christ by Most Rev. 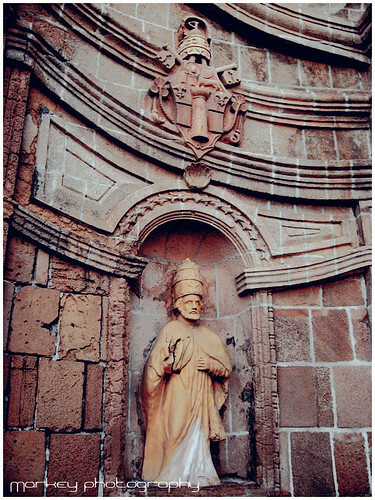 Gabriel Reyes, D.D., Bishop of Antipolo. 2003 – Construction of monasteries, kiosk, 5 hermitages for monks and other facilities. 2004 – construction of the Oratory (Chapel) and a 12 – room dormitory for monks. 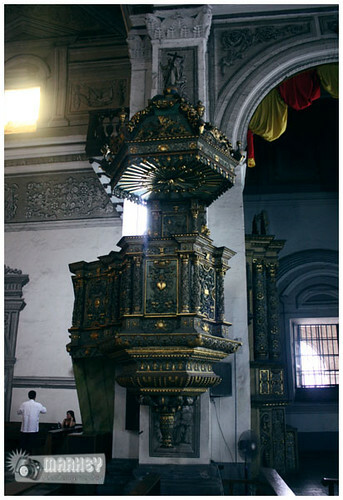 November 2006 – Renovation and redesigning of the Oratory to Reliquary to house the relic of the true cross. 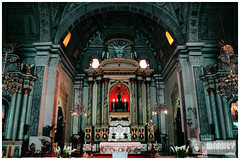 January 30, 2007 – Inauguration and blessing of the chapel and reliquary presided by his excellency most Rev. Fernando Filoni, D.D. 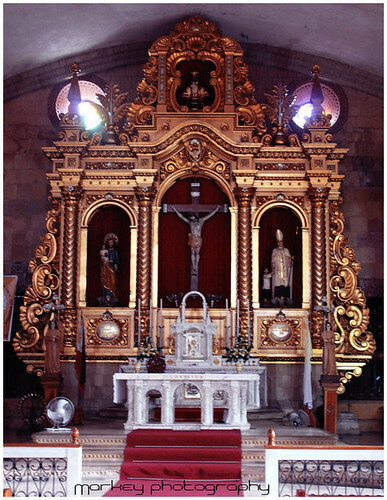 apostolic Nuncio to the Philippines, assisted by several archbishops, bishops and priests. Confession: 30 mins. Before and after the mass. 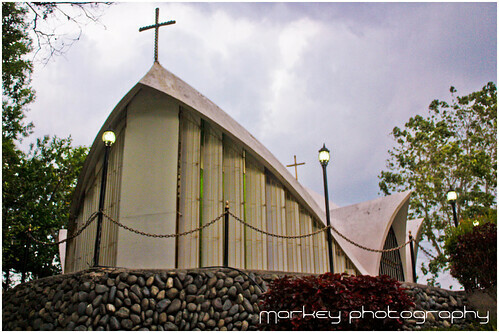 A spiritual journey right at the foot of Mt. 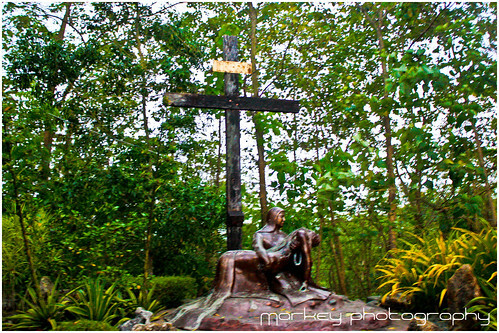 Banahaw, every pilgrim experiences inner joy, peace and warmth. 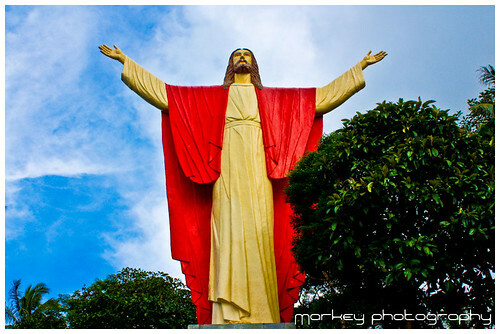 Kamay ni Hesus Shrine is an ideal destination for pilgrims and tourists not only during the holy week and simbang gabi but during the whole ecclesiastical year. The Eucharist is celebrated almost daily; healing mass is part of Fr. Joey’s everyday apostolate. 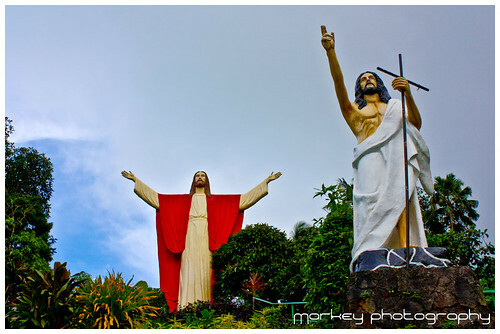 Even for non catholics or non believers, Kamay ni Hesus Shrine is a serene place for everybody. 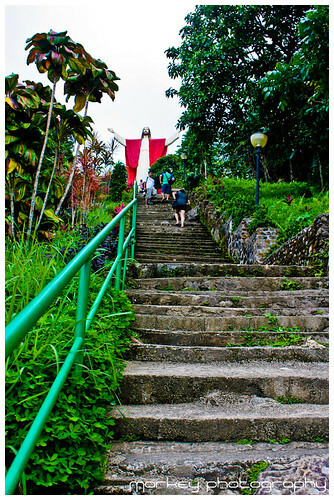 At the church’s backdrop is a steep hill transformed into a picturesque Via Dolorosa Grotto of Healing and Purification, all of 292 steps, including the life-size statues of the 14 Stations of the Cross is leading to a 50-foot statue of the Ascending Christ —the third biggest in the world than can be seen miles away. Rev. Father Joey Faller, spiritual director of the Catholic Charismatic Renewal of the Philippines and founder of the kamay ni Hesus Healing Church visualized the church to give the sick and the spiritually weak a haven where they could feel and experience the presence of God. 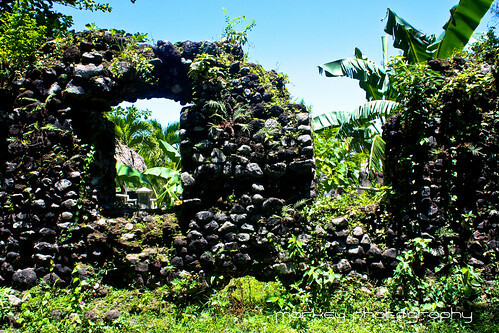 For almost two centuries the Cagsawa Ruins has stood as a symbol of Bicol region’s impressive landscape, rich history and the people’s strength and resiliency to face and to rise from the ravages of Mother Nature. 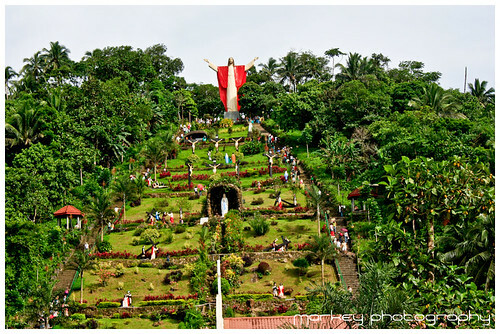 Cagsawa Ruins Park is one of the most visited places in the area. From this point tourists are afforded with an unhampered view of the majestic Mayon Volcano with its world renowned perfect cone. Folklore states that originally Kagsawa was derived from the word “KAG” meaning owner and “SAWA” meaning python. Kagsawa could also mean excesses or too much. 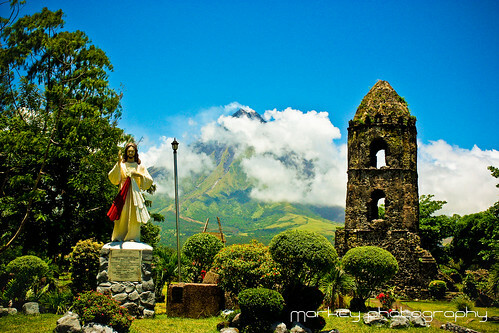 The February 1, 1814 Mayon eruption was said to be a divine justice for the people’s overindulgence. The 1814 eruption was recorded to be worst eruption of Mt. Mayon. Some 1,200 people who took refuge and sought the sanctuary of the church during the eruption all died when the church was engulfed by the flowing lava. 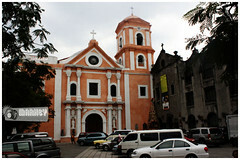 Only the Cagsawa church belfry remains today. It is a grim reminder of the events that took place and many people come to see the belfry as a reminder of times past. 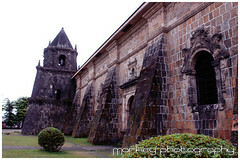 Through all the developments done by the local government, the Cagsawa church belfry remains standing, with the giant stones spewed by Mt. 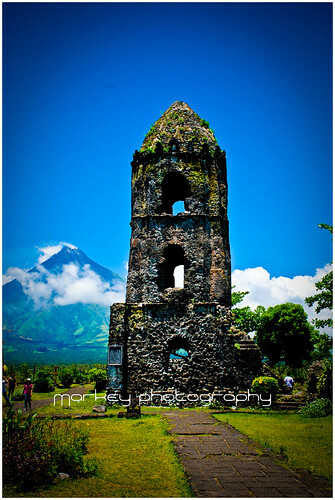 Mayon around and with the history of the region buried underneath. 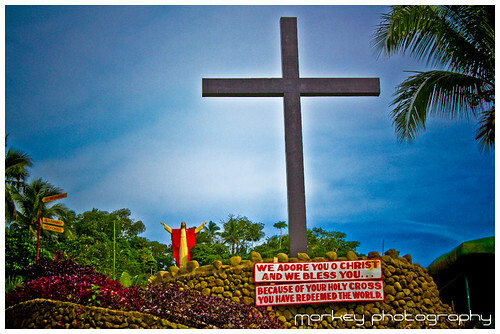 The place is now called Cagsawa Park. It is managed today by the municipal government of Daraga, Albay. 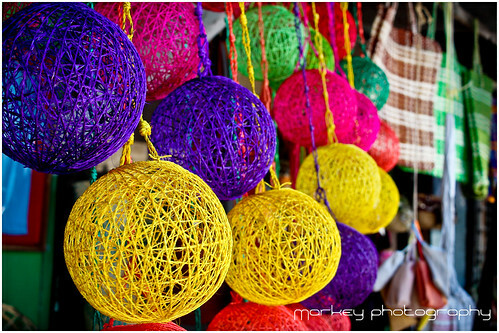 At the entrance of the park visitors will find a wide variety of souvenir shops and stalls which showcase native products and handicrafts. A wide selection of T-shirts with native scenes and designs are also available. Cagsawa Park now boasts a modest sized swimming pool with plenty of loungers where visitors can laze and gaze at the majestic vista of Mt. Mayon. Plants and flower lovers will be thrilled with the display of exotic flowers and orchids that are on sale. One needs to be a good haggler though to get a good buy. The highest point in the Santiago City, at 173m above sea level. This is the home of SCATEC, an ecology park established by the city to promote agro-tourism. 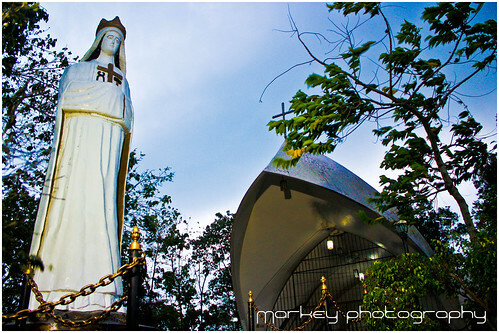 Balintocatoc is also famous for its “Holy Hill”, where the Shrine of Our Lady of La Salette stands. 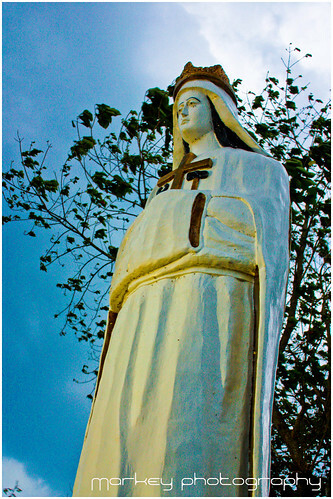 Statues of different saints depicting Biblical scenes are situated along the winding road to the hilltop. 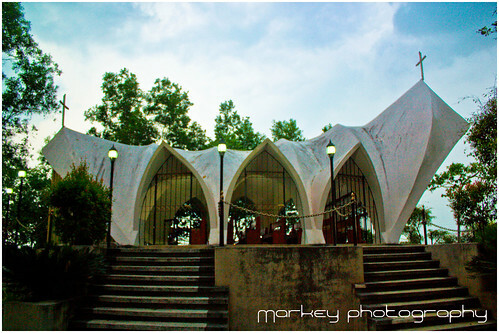 A chapel crowns the hill, a perfect venue for those who seek a peaceful and solemn meditation and worshipping. 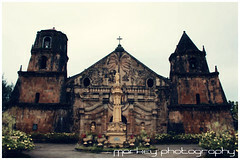 Another UNESCO World Heritage Site trip and this is the Miag-ao Church in Iloilo. The starting point of my trip is in Iloilo supermarket which is located at the back of the Robinson Place Iloilo. Beside the Iloilo supermarket you will see the terminal station and you will be riding the jeepney going to Miag-ao (Fare is 60 PHP). The travel time is approximately 1 hour to 1 hour and 30min. 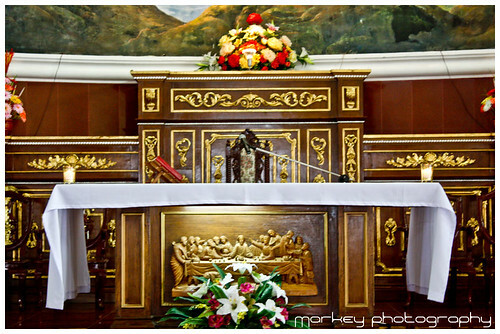 The jeepney will just drop you right in front of the church so you don’t need to worry. 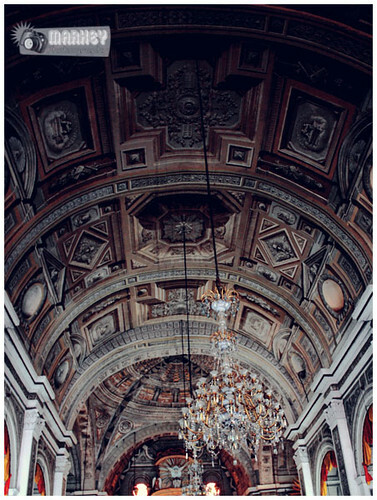 I’m really fascinated with the church facade. 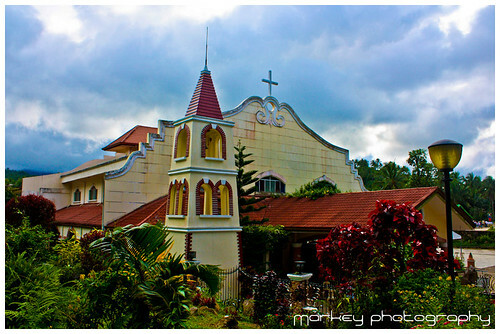 The yellowish color of the church makes it more attractive. 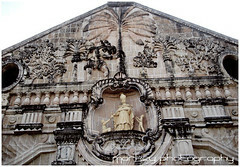 The Miag-ao Church was built in 1786 by Spanish Augustinian missionaries and was declared as part of the UNESCO World Heritage Site “Baroque Churches of the Philippines” in 1993. 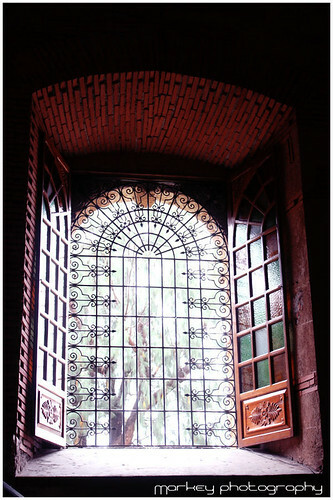 On the front facade, which is flanked by two watchtower belfries, one can see the unique blending of Spanish and native influences.